There are some students and alumni from UWGB who do not worship the Green and Gold… Does that change their college experience in Titletown? The University of Wisconsin-Green Bay doesn’t have a football team of its own, but does boast a close relationship and partnership with the Green Bay Packers. The spirit of the Packers became present throughout the halls immediately following week one of the season. 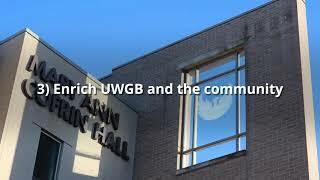 The proximity to Lambeau Field draws many students to attend UWGB, but there are some who think differently of the Packers. Although she is not a football fanatic, she still knows how to show team spirit. “I’m a cheerleading coach, so I cheer for the team we cheer for.” Hall’s fanship is not limited to just one team, so even though she might not show as much interest in football as the rest of the community, she still knows how to cheer just as hard as the rest of the fanbase. Friendships, luckily, aren’t affected by Gardapee’s taste in teams. “Most of my friends are Packer fans,” he said, “but it does not create a rivalry except for two days a year when they play each other. They are also very accepting of who I cheer for, or at least they make it seem like they are okay with it.” The Lions fan knows that most Packer fans are super nice, but he does run into an obnoxious fan occasionally. The hardest part about growing up a Lions fan in Wisconsin is that they aren’t always on TV. When the Packers play, they take precedence on the local channels making it hard for Gardapee, and other non-Packer fans, to support their teams. His friends also only watch the Lions game with him only if the Packers aren’t playing, which he said hardly happens, unless the Lions game is on primetime, or if the Packers and Lions play on different days. Though he is a die-hard Lions fan, the UWGB alum has no problem supporting the teams of his home state. He never roots against the Packers, unless a loss benefits the Lions. When he isn’t cheering on the Lions, he is rooting for the Badgers, the Bucks and the Brewers. After yesterday: NO TY NO!